The Oscar Elton Sette is on a mission called HICEAS, which stands for Hawaiian Islands Cetacean and Ecosystem Assessment Survey. This cruise will try to locate all marine mammals in the Exclusive Economic Zone called the “EEZ” of Hawaiian waters. 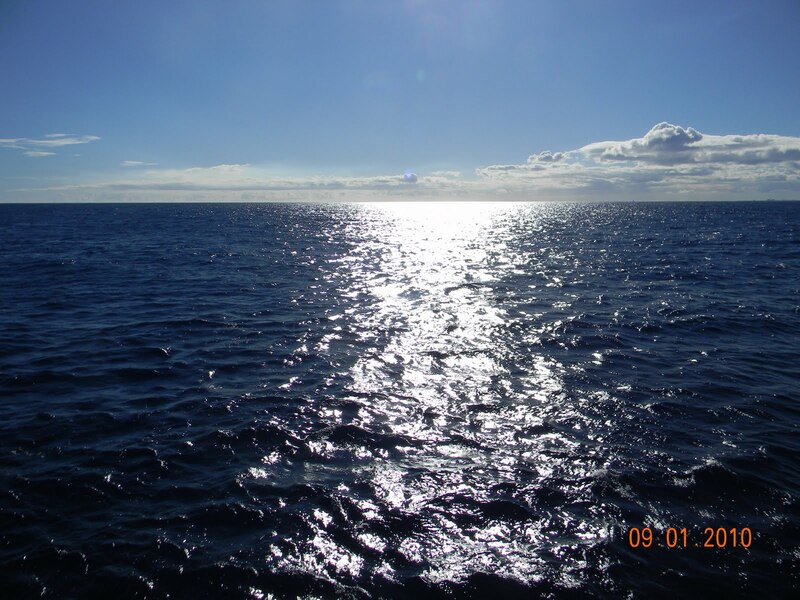 The expedition will cover the waters out to 200 nautical miles of the Hawaiian Islands. To locate these animals the science crew will deploy acoustical equipment engineered to capture whale and dolphin sound and also locate animals visually with binoculars with magnification up to 25x. Another goal of the mission is to collect data such as conductivity for measuring salinity, temperature, depth, and chlorophyll abundance. Along with aquatic mammals, aquatic bird sittings will also be documented. This survey’s data is necessary to estimate the abundance and understand the distribution of whales and dolphins in the EEZ. The data will be compiled for the Marine Mammal Stock Assessment Report. The assessment is required by the Marine Mammal Protection Act, the Endangered Species Act, and the National Marine Sanctuaries Act. 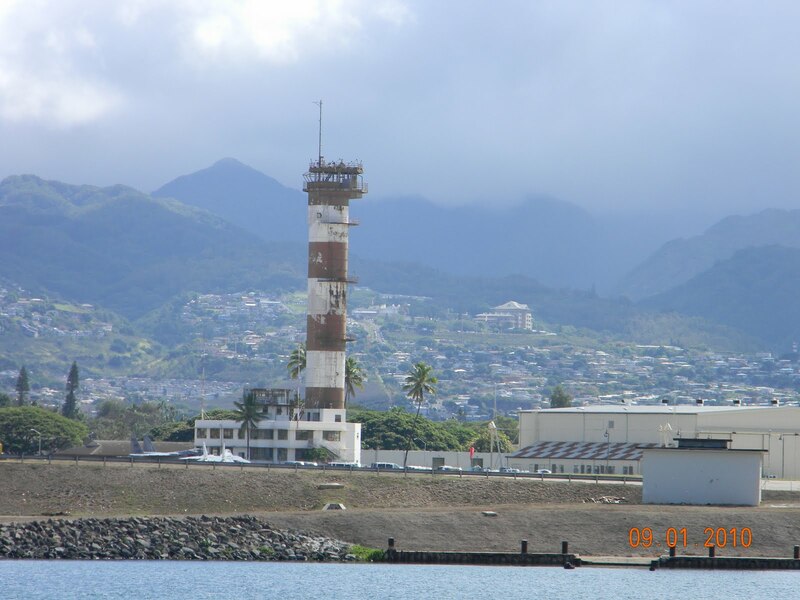 The old control tower for midway. 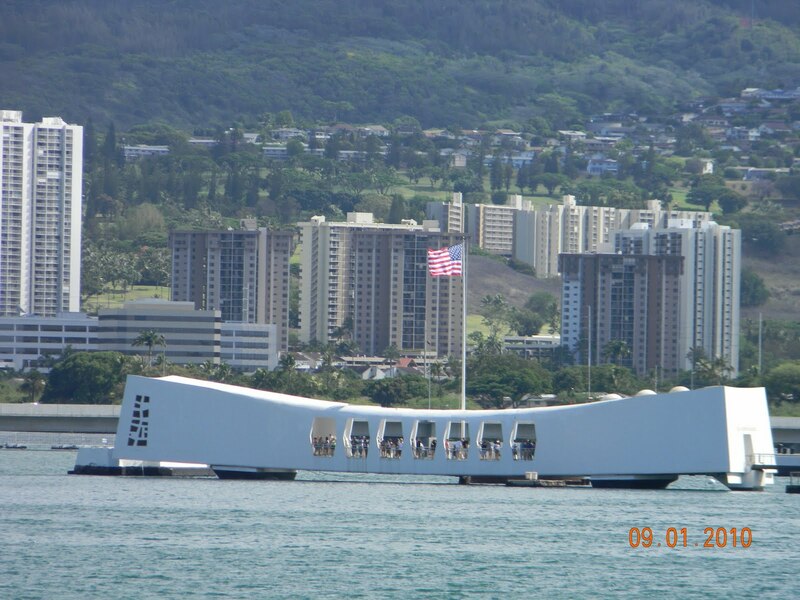 Before the Sette left Pearl Harbor on its mission, it had to stop for fuel, at least 90,000 gallons worth according to the boatswain. While at the fueling station the Lieutenant Collin Little talked to the science crew about protocol on the ship and then Chief Scientist, Erin Oleson, gave essential information about the mission. There are sixteen people on the science crew including the Chief Scientist and myself. We are split into five groups: the Chief Scientist, the Acousticians, the Marine Mammal Observers, the Birders, an oceanographer and the Teacher at Sea. The day was wrapped-up with a fire drill. Everyone had to report to their muster stations to be counted. Safety is extremely important on this ship as I have ascertained by the frequent encouragement to do tasks/activities correctly with as little risk of an accident as possible. We are still heading out to sea. Tomorrow, when on course, the data collecting will begin. I hadn’t realized the time change would be so drastic. We are now 5 hrs. behind North Dakota time. I don’t think it will take me long to adjust, but I am very tired now. I am impressed with all the young professional scientists! I am also pleased to see many are women, because sometimes it is hard to get girls motivated to do labs in the science classroom. I will have a “job” soon. It is not very complicated, but I am needed to make sure the extremely expensive CTD (conductivity, temperature at depth measuring device) is not being pulled in any direction by the waves during readings. I don’t have to hold it. I informed Ray one of the able-bodied seaman, and he reports the angle the CTD is in to the bridge. Everyone has been very friendly and kind. If I had to go home today I would be sincere in saying I had a truly great time! A view from the ship while heading to the Northwest Hawiaan Islands. 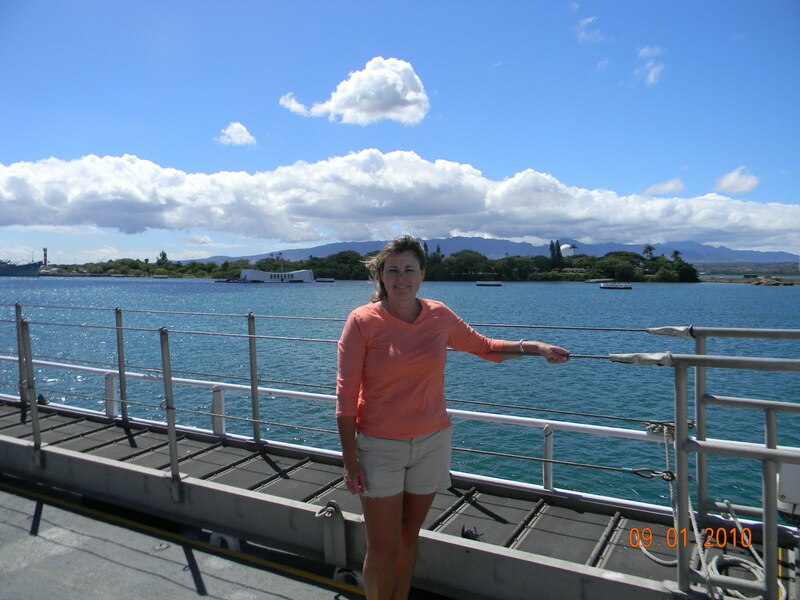 This entry was posted in 2010, Donna Knutson, NOAA Teacher at Sea and tagged and chlorophyll abundance, Arizona Memorial, conductivity for measuring salinity, depth, Hawaii\, HICEAS, Marine Mammal Protection Act, Oscar Elton Sette, temperature. Bookmark the permalink.